The car dealership service department is the No. 1 determinant of customer satisfaction and dealership loyalty, according to the J.D. Power 2016 UK Customer Service Index (CSI) Study,SM released recently. 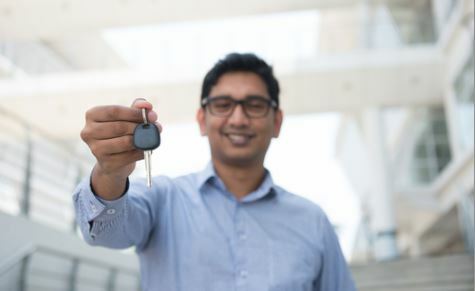 Service Advisor Can Make or Break Satisfaction: When the service advisor greets customers immediately upon their arrival, it can improve service satisfaction by as much as 48 points; yet, 61% of customers indicate they had to wait for a greeting. When the service advisor knows the customer’s vehicle history and the customer says the service advisor is completely focused on their needs, service satisfaction can increase by as much as 46 and 56 points, respectively. Additionally, while only 34% of customers indicate their service advisor used a tablet during their service visit, overall satisfaction can increase by as much as 31 points when the advisor uses this device. Pick-Up Process Is Important: Service customers in the UK spend an average of 9 minutes to finish the paperwork and pick up their vehicle after maintenance or repairs. Overall satisfaction is highest (778) among the 53% of service customers who indicate the pick-up process took 5 or fewer minutes. Satisfaction drops to 750 among the 28% of customers who say the process took 6 to 10 minutes and dips to 714 among the 9% who say it took 11 to 15 minutes. Transparency on Work Provided and Cost Is Valued: Overall satisfaction averages 742 among the 81% of customers who received an explanation of the charges after service was completed, compared with 653 among those who did not receive an explanation. Similarly, overall satisfaction is 741 among the 84% of customers who received an explanation of the work performed on their vehicle, compared with 637 among those who did not receive an explanation.